A new Strategy game has been recently released. 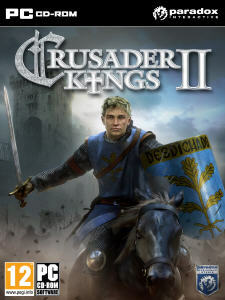 It is entitled Crusader Kings II, review of which will provide you with an insight to court plots, as well as the most notable changes that were brought by the sequel letting you embark on a exciting adventure through the darkness of The Middle Ages once again. 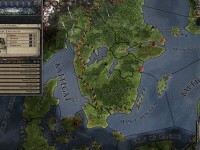 Crusader Kings (2004) was a continuation to the Medieval game worlds experience for the developers from the Swedish company Paradox Interactive. Although this was not the first title of the studio looking at this historical period, still its geographical and time scope were significantly superior to all its predecessors. 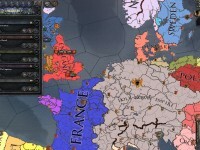 In the years after this release, Paradox not only got more knowledge in making complex projects with a diverse variety of options, but also it advanced in ensuring their accessibility to everyone. The user-friendly Interface and brief Tutorials helped the newcomers to make the first steps. 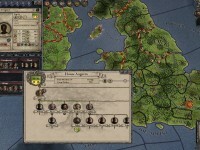 In this Review we will speak about the sequel anticipated by many and named Crusader Kings II (2012). You could already get some interesting facts about it from our detailed Preview. Since then we spent several dozen hours with this Strategy, and are now ready to tell you about its core features. Alas, if we tried to cover all the details and options available in it, we would need a much longer article than this one. As always, the game developers have been actively communicating with their community and were keen to publish many entries and diaries covering the creative process and its challenges. The sequel features a Tutorial mode, which won’t let the newbies get lost too fast. Here, it includes 27 Scenarios, grouped by their topic and the complexity of the issues involved. All these lessons describe the basic aspects of of the game, while providing some nice tips to more experienced strategists. 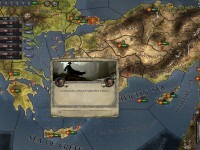 These individual training scenarions in Crusader Kings II are interactive requiring to perform a certain action at times, while many others simply offer to scroll through the text accompanied by illustrations. Here it is difficult to get confused, since we found the descriptions to be written based on their perception by ordinary users, so special comments can even avoid any possible ambiguity of required actions. During certain moments, we felt like the game was talking to us stopping us from making any wrong steps. If you managed to spend your one real time hour to safely complete the useful Tutorial, then you are all set to proceed directly to the main game. Here it would be wise to note that it is better to learn in the process. Even if you read the extensive manual, you still will be taught some cool new things during your play, thanks to the floating tooltips appearing on screen. The game period covers the period starting in 1066 and ending in 1453 year. The first date marks the Norman invasion of England with the feudal lords, headed by William the Conqueror. At the moment the Seljuk turks were researching the means to invade the Byzantine Empire. The end of this Medieval era happens with the fall of Constantinople to the Ottoman forces. 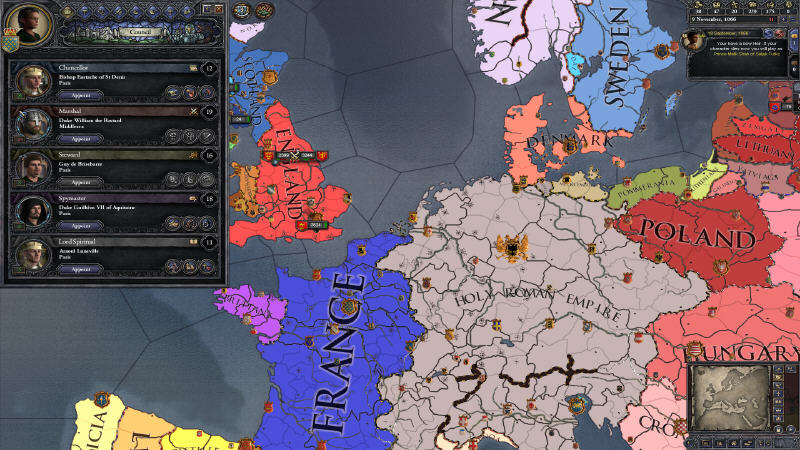 Crusader Kings II gives you a chance to live through nearly four hundred centuries. However, there is an opportunity of a start in some specific historical points. Amongst this milestones of the sequel we can highlight the British campaign offering you to lead King Harold in his struggle against the traitorous borhter and fighting off the Norwegian invasion before William the Conqueror arrives, and he will the most likely. It would be important here to strengthen the defense of the coast before the French invaders try to land their troops there. Those wishing to oppose Harold can take the side of William hiself or try their hands with the Danish king – Svend II. In 1187 the leading European monarchs initiated a military campaign to conquer Jerusalem back from Saladin during The Third Crusade (1189-1192). You will need to consider not only the overseas wealth, but the fate of your realm, when the king is absent and local lords are ready to strike. Certainly, the story couldn’t be left withouth the famous Hundred Years’ War (1337-1453). Crusader Kings II is a sequel giving it enough time. While battling for the French throne the forces of England and France will fight each other. Still like Crusader Kings the game truly shines not only with the chance to lead glorious kings, but with an offer to play as minor powers. For example, you might be more interested not in wearing the crown of Philippe VI of France, taking the title of the Countess Jeanne of Navarra instead, or it can be the Duke of Lithuania and even the Eastern sultan. The main idea of ​​the original concept let you write your own history. While beginning your play inside the historical events context, it does not mean that the history textbook will become your game guide. Everything can be changed, though you will still have to work with relations between various counties and kingdoms set according to the authencity of the era. 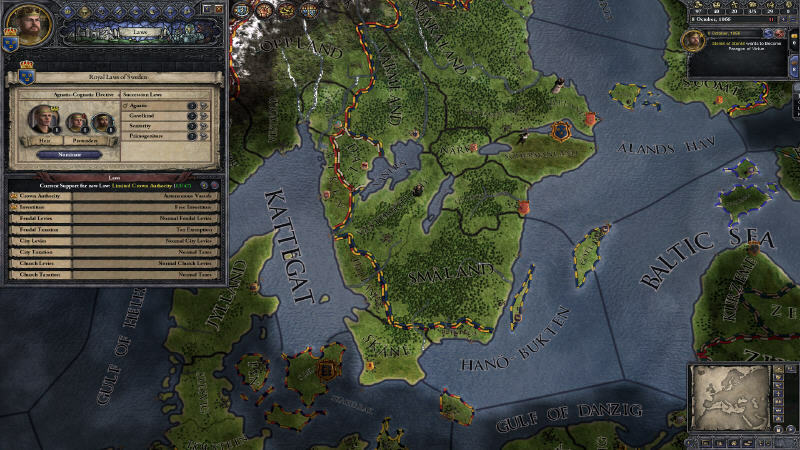 Read on further to learn more about the economy and politics in Crusader Kings II. When starting, a variety of very important factors has to be considered. Just imaging yourself being a real Medieval lord worrying about your lands and the local populace. You will have to fight for different noble titles and in time increase the power of your dynasty. Every new feature you encounter will present you with a brief advice on the possible ways of using it, wha looks very helpful. 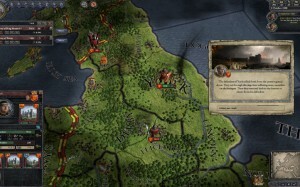 The new Barony level inside the counties will add you new challenges in the Crusader Kings II sequel. Especially, it is important for those, who like playing as Counts. Inside your provinces you can build up holdings including castles, cities and temples, though an «Abbey» word would suit the meaning better, if not counting religious difference, which have to be counted in this game. New constructions gives you more advantages, the castles provide you with new recruits, while the cities bring more income and the temples are good all the way around besides the defensive abilities. In total, each province can be stuffed with up to 8 holdings, and each of them will allow you to recruit certain specific troops. Barons can be a threat as well, when initiating revolts just like in real history. The Ironclad (2011) movie, anyone? The money is also very important to pay wages, hire mercenaries, finance plots, undertake construction and doing many more things unless, of course, there is a Holy Order residing nearby standing ready to defend you from any infidels for free. Though powerful might has an economy foundation underneath. With a set of nicely planned marriages and tricky plots you can reach the lands of your rivals, acquire new vassals and territory. On your way you will be helped by 5 your closest advisors, including the Chancellor, the Marshall, the Steward, the Spymaster and the Court Chaplain. 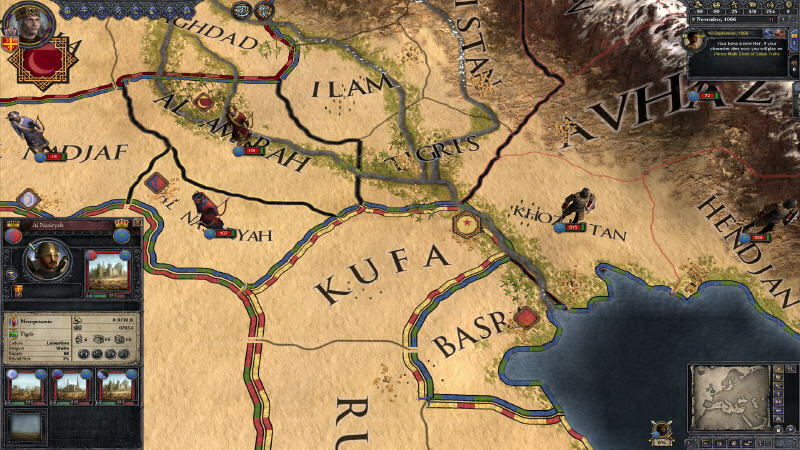 You should be careful, when appointing staff to these positions in Crusader Kings II, since those people will do missions for you on the Global Map. Therefore, their skills should be on par with their office tasks. Each of your advisor has three specific missions to do for his king. These ones let you get more money, make your technological advance faster or even fabricate a Casus Belli to receive a fair reason for invading a neighbor. At the same time the sequel stays true to its Role-playing values. The main heroes here are not the countries, but kings, noble lords and their vassals. They have an opinion about each other depending on the events happening to them in the past. Their views often dictate their behaviour, so think before trying to disappoint a Duke, since he will remember that and take his revenge at any moment. Even your subordinates can get reasons for hating you as long as you tend to own more land than a good faith of title should give. By the way, the list of titles has been expanded with the Emperor’s entry. It isn’t a wise choice to depress your vassals in Crusader Kings II. You just have to give them more lands, and in exchange you might get a helping hand from them, when in trouble. 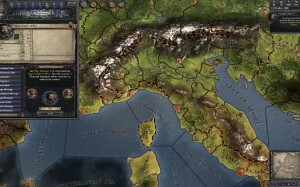 The loyal subjects are much more willing to be involved in certain plots, to provide more recruits and taxes to you, but you shouldn’t neglect the power of the Church, especially, if you are playing a Catholic faction. Any Crusade calls show their controversy, when your losses can easily overweight any gains. Besides, there are bishops managing various provinces. If they like the Pope better, he will reap all the rewards from them. The Pope is an important figure of your play. Here you can go from appointing your cardinals to trying to benefit from high Piety score. Then battling with infidels will be considered a heroic deed. The Crusades might enrich you with more wealth, fame and prestige. If you disobey, there is also a way with creating an Anti-Pope – a rival religious figure doing favors for the feudals supporting him, unless he is able to be installed as the only Pope overthrowing his rival. If you can help such a character in this, you will get more advantages, when the success is reached. 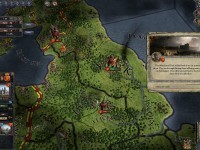 Crusader Kings II in this sequel pays special attention to the economy and politics. Though the final score is calculated based on the Prestige values of all the characters you played. It is very important not to be left without a legal Heir to keep your dynasty up and running. Yes, not only filling your cofferes, but also making your family tree bigger is an important in-game challenge. If you are familiar with Kent laws, then you, perhaps, heard of the Gavelkind hereditary rule. With it all the titles are shared equally between the heirs. Yes, it is more justified, but in turn leading to civil wars for more power. Of course, they will be crown’s contenders not happy with your choices. Noble rivals will try to grab it for themselves, while the most lords tend to dislike anything new, even if it is their new King. Your actions and decisions will have to prove your worthiness of holding the title over time. Your main character can also pursue personal ambitions, for example, being ready to get married. You can select the goal to reach from the list and receive bonuses, if you manage to do it, just like in The Sims 3 (2009). 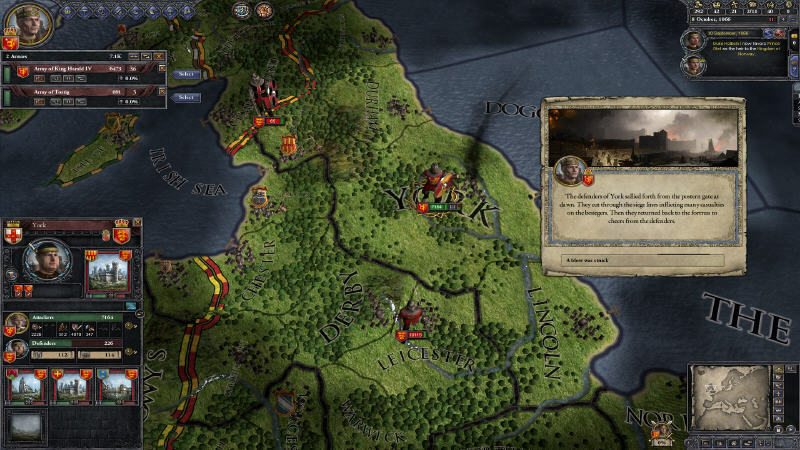 Read on to learn more about research and waging wars in the Crusader Kings II game. Nothing will limit your opportunities, besides your opponents. Besides reaching ambitions, you can initiate other actions like festivals, tournaments and even conspire against all of your competitors or try to expose their plots with your spy network. 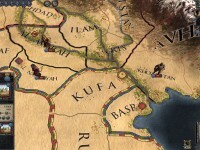 The scope of technology in Crusader Kings II consists of three branches: military, economic and cultural ones. Although the research here in the darkness of the Middle Ages was valued less than the force of arms, yet these developments will give you the enhancing power to imrpove your lands spreading the knowledge from the capital province throughout the kingdom. With the help from science you can raise the prestige value or improve the flow of resources and strengthen military might. The wars are waged not only by kings, since the vassals also employ their forces, and there are also general military reserves of the realm. When difficult times come, feel free to call for helm and attract it from your neighbors sending you their recruits. It is also important to balance the divine and earthly right or, in other words, the rights of your monarch and loyal feudal lords. You can limit their freedoms or grant more depending on your play style even leading to some elective choices. While commanding an army, you will surely use new flanks management options. Here they present big battle groups able to be led by any of your knights. When one part of the army finishes the tasks on the battlefield, it can aid allies. This will remind you of the Middle Ages warefare, its tactics, flanking and rear attacks scattering the rows or archers or sudden enemy encirclements. The military campaigns in Crusader Kings II aren’t battle for total annihilation, but for supremacy. It is an attempt to win getting more War Score. The victory will be awarded to a more successful strategist rather than tactician. If you manage to occupy the enemy lands and hold them for some time, your enemy will start losing his support leading to being forced to a humiliating peace or even to ceding territories to you for it. Still you will have to fight in open fields, and here your infantry, cavalry, archers and horse archers will do their duties. 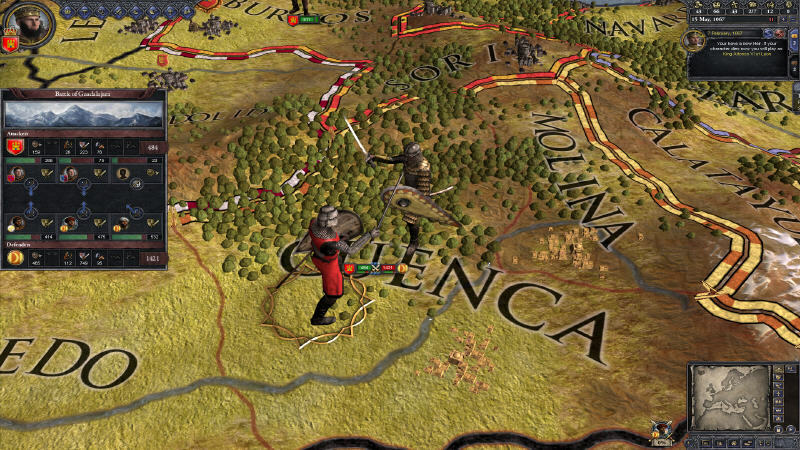 The pace of battles is traditional for the games developed by Paradox Interactive. There is even a Mongol Invasion starting at 1215 with the first wave. The invaders are endowed with great strength, and you have to defeat this big army of nomads in any way, if you are unlucky enough to be their neighbor. Characters age, what is reflected in their avatars. It would be helpful, if you understand the local terminology. 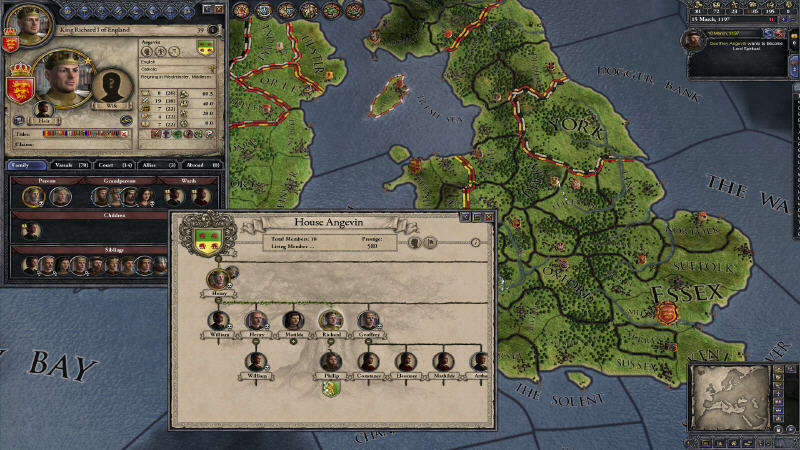 For example, the Agnatic and Cognatic hereditary patterns define, how the belongings of a vanished leader will be distributed between his heirs or whether the females in the dynasty can get their share. You can scroll the biographies of deceased lords to see their deeds, titles and find out how intelligent naming system works. Another interesting aspect are the in-game events, which are divided into three types according to the degree of influence on government leaders and the look of the world as a whole. It is quite possible that your monarch will open a whole chain of unique life-changing experiences depending on his characteristics. 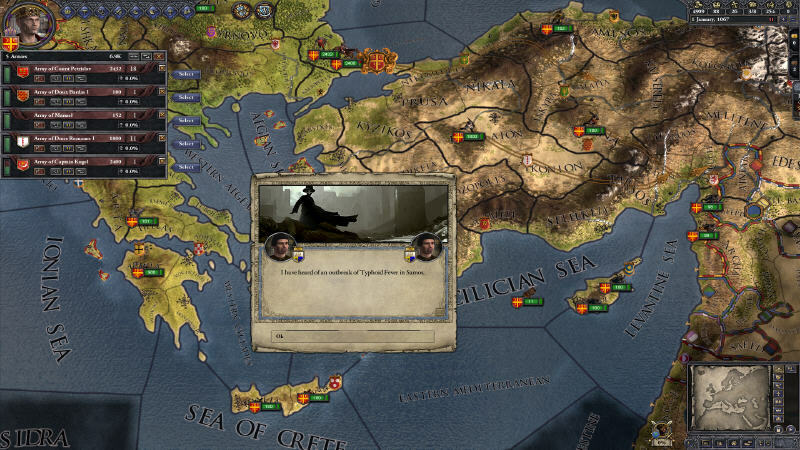 The main advantage of the enemy AI in the Crusader Kings II sequel is its ability to assess the current strengths and weaknesses, making the decisions from the available options after this procedure. Sometimes it can lead to shocking events for the player. The interface looks neat and convenient. Smart tooltips are ready to give you more information, if you happen to hold your mouse cursor over the desired targets longer. Nice art and graphic icons are looking fine with moderately high resolutions, though it can be hard to read the text, if you are playing with a huge TV. The buttons can be clearly distinguished from each other, and the fonts include titles, descriptions and everything for easier understanding of any situation. The Multiplayer for 32 players can be started over Local Network (LAN) or through the Internet with an optional pause mode and the chance to selet your character. It will be a nice addition for those, who finishes the first Single-player campaigns. 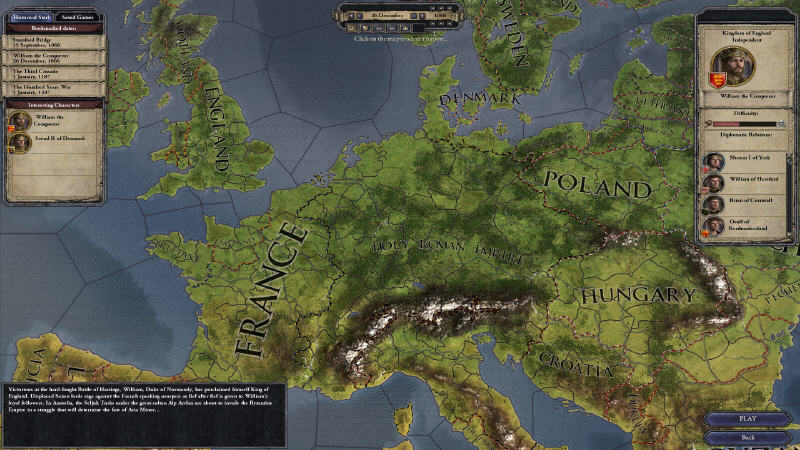 The developers of Crusader Kings II will keep on improving their title just like always, so don’t worry, if you encounter something you would like to see fixed. Most likely, the fans would have already mentioned that first. The recent patch will update your game to version 1.03b, which was released a few days ago. We do hope to see the reported Tutorial and Message System bugs to be fixed soon, though, honestly, we completed the Tutorial without any problems, so we believe that they could affect only certain settings. 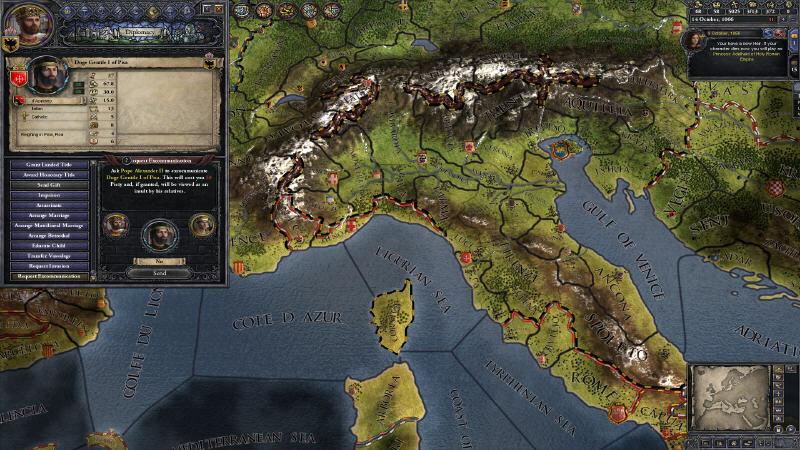 Read further to learn about mods and the soundtrack of the Crusader Kings II sequel. Theire is a huge modding potenital to be uncovered in this game. 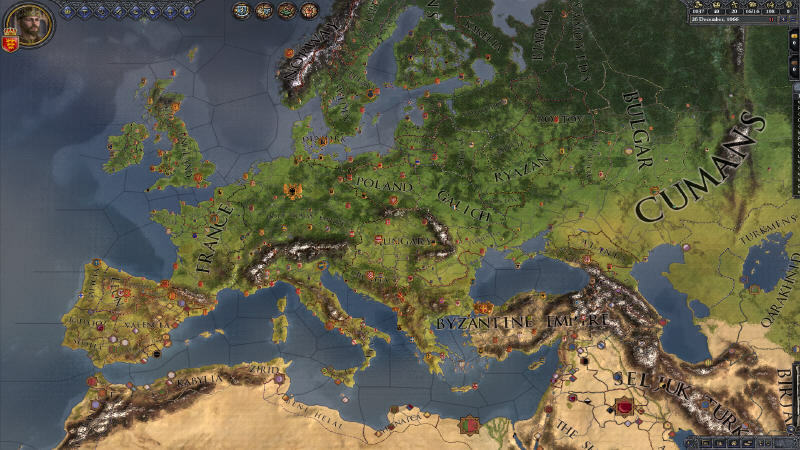 Using a new system for content integration, you can enrich your play sessions in Crusader Kings II with new events tied to lands, characters, titles or even start a couple of wars surprising your users’ audience. The graphics engine of the project will present you with its 3D colorful map. The developers made it nearly from scratch, while keeping in mind the achievements of previous games in this field. 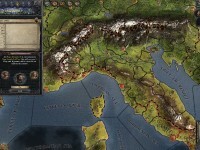 Its appearance reminds us of its analogue taken from Europa Universalis: Rome (2008), though vastly improved. New changes include the animation, lightning, how the borders look like and even the water surface. The vivid colors of he landscape are leaving a positive impression. In addition, it is easy to scroll the map and use and color filters to quickly see the game world through the prism of required conditions. Major compliments about the in-game sound of Crusader Kings II are to be addressed to the famous Swedish maestro – Andreas Waldetoft. One of his idea for sound effects was to play music notes instead of simple clicks, when you select your character on the map before the campaign is started. The quality of the soundtrack is also great and can be compared even to the those accompanying some Hollywood blockbusters. All 24 of these tracks can be listened in looped mode, and you can enjoy the melodies written in different keys. By the way, we feel that this sound was influenced by British composer – Harry Gregson-Williams. If you are already familiar with the Kingdom of Heaven (2005) soundtrack or his music to The Chronicles of Narnia (2005-2010) trilogy, you will get the point. In this particular case, Andreas Waldetoft also paid special attention to employing male and female vocals as well as choral singing. Crusader Kings II is a very detailed Medieval Role-playing and political simulation game from all that have ever been released. No other game at the moment can offer you a more extensive representation of this historical period. In addition, the sequel becomes an absolute Time Eater. It can eat as much of your free time, as you are only able to feed it with, and even after that it might still be hungry making you want to play more. When writing this Review, I couldn’t stop thinking of one Count. He behaves badly, and I already have a rather complicated plan for punishing him. Just let me unleash all my wrath on this enemy of mine. Read More: Contest / Interview / Preview. Watch Trailers: Envy / Greed / Lust / Sloth / Pride / Wrath.